If travel broadens the mind, then the otherwise irascible Bela Guttmann was good enough to return the favour. As well as effectively creating the cult of the manager, the Hungarian has been credited with helping build the Brazilian brand of football. By centring much of the attention on a club around himself, Guttmann was free to innovate and impress on the players. At Sao Paulo, he did so by echoing his native Hungary and installing a withdrawn playmaker. “It was only then,” as midfielder Dino Sani said of the subtle shifts, “that I really began to play.” And so did the team. Guttmann’s techniques were devised with the aim of “getting his sides playing by instinct”. And, although he eventually left with a Paulista championship medal, Vicente Feola was sufficiently intrigued to begin adapting the ideas for the 1958 World Cup. A legend was born. Guttmann, of course, had already created his own. That job in Sao Paulo was his 16th job across nine countries. He would finish up on 25 in 13. Much of that was down to his mantra that “the third season is fatal”. A firm believer that players eventually tire of any manager no matter how good a motivator, Guttmann never stuck around long enough to find out if it was true. And that probably ensured that his overall record was more mixed than it should have been. Put in the starkest of terms, he only won nine trophies across all those jobs. But he was willing to make an exception at the very club where he won the most. By the time his second season at Benfica had delivered a second successive European Cup in the summer of 1962, Guttman felt he might be due a bonus. The board refused and Guttmann resigned. With that, it wasn’t just the manager that went. It was Benfica’s opportunity to truly emulate Real Madrid and Guttmann’s own to build a genuinely lasting legacy. Like anyone with such a God complex, Guttmann moved in mysterious ways. But at least a majority of them were magnificent. Quite simply, the most successful club manager in South American history with an unmatched four Copa Libertadores. All the more impressively, he won them restoring declining giants to past glories. The four major trophies Bianchi won as Velez Sarsfield manager in the mid-90s, for example, were their first since 1968. And, at the turn of the millennium he finally gave Boca Juniors the kind of Libertadores legacy a club of their size warranted with three in five years. A meticulous manager capable of tactical masterstrokes, Bianchi’s only real – and still relative – failures came in Europe as he endured uncomfortably brief periods at Roma and Atletico Madrid. Many still see him as the eventual saviour of the Argentine national team. There was certainly no problem with the former. Utterly incomparable, Shankly will always be remembered for a litany of reasons. First of all, there was the furnace-blast of personality which produced so many such quotes and quips. Next, there was the theorising and football philosophies. At a time when the global game has never been so privatised, Shankly’s belief that football was merely a collection of people working together has never been so relevant. Yet, amidst so much that made him so memorable, it’s too easily forgotten that Shankly’s actual record wasn’t as awe-inspiring as his own aura. Before Anfield, his sides never finished above 12th in the Second Division. And, in 15 years there, he only ever won five major trophies and never lifted the European Cup. Granted, there were caveats to this. First of all, Inter are alleged to have effectively bought the 1965 semi-final. Secondly, Shankly’s prime came in the most competitive era in English history: between 1959 and 1975, no side retained the title. And it was his successor – Bob Paisley – that ultimately ended that trend, building on the rock-solid foundations that Shankly had laid. Often hailed as a messianic figure, the great Scot was arguably more a Moses for Liverpool. But, in that sense, Shankly never lived up the second part of his mantra. He never made sure. His true brilliance, though, was perhaps making so many others believe he did. If you were to look at Fabio Capello’s career purely through the prism of his last major competition – the 2010 World Cup – it would be impossible to have him so high in this list. But here’s the thing: the Italian’s knock-out record has never actually been convincing. Indeed, in a 20-year career, he’s only won one cup competition. And even that – the 1993-94 Champions League – was down to the fact the more difficult latter stages were replaced by a round-robin format. Because that’s where Capello has really excelled. He has one of the most formidable league records in football history. In 15 seasons with club teams, he has won a remarkable nine domestic titles. And, although two of them were eventually revoked, that was down to ill-discipline at Juventus’s higher levels rather than among his squad. Indeed, he almost proved the point with England. In vast contrast to their miserable World Cup campaign, the qualifying campaign was sensational. Twice they utterly pummelled Croatia. That does perhaps prove that the toils of South Africa were something of an aberration, even if Capello was never going to actually end 42 years of hurt. In that sense, he’s never been a manager to break the mould. But he’s still a born league-winner. Had the creator of Catenaccio not been so honest, then it might have been Milan who dominated the ’60s rather than Inter. After finally lifting the European Cup for an Italian team in 1963, Rocco decamped to Torino because of a promise long ago made to their president. As such, the way was clear for Helenio Herrera to take control of the decade with his version of Catenaccio. Not that any of Rocco’s opponents would have described his play as particularly honest. He is alleged to have told his squad to “kick anything that moves; if it’s the ball so much the better”. And that fit a theme. Because, even though Herrera adapted the maligned Catenaccio so much to the extent he appropriated it, it was Rocco who first made the approach successful. Although the latter’s implementation of the system was much more open than the Argentine’s, such was the conformity of football after the war that even the slightest alterations could have disproportionate results. That was exactly what happened at Triestina as Rocco took them from bottom to second within a season, before repeating such pronounced leaps with Padova. And, having lifted such lowly teams to the top, he was then given the chance to actually challenge there with Milan. Indeed, the four years at Torino actually interrupted a sequence of Serie A, European Cup, Serie A, European Cup at the San Siro. In terms of creating a force, though, that last 1969 continental win actually proved something of a pyrrhic victory. Ajax used the experience of a 4-1 defeat to evolve the kind of football that eventually rendered Rocco’s approach obsolete. But, by that stage, he had used it to maximum effect. Other than Vicente Del Bosque, Lippi is the only manager to have won both a World Cup and a Champions League. It’s a surprising stat that proves it’s pretty much impossible for any coach to have a perfect medal collection. Because, despite the dynamism of his best teams, Lippi’s record was far from perfect either. In fact, he failed to repeat such records at eight of his 13 separate jobs – most notably Inter. Lippi endured a decade of toiling until finally illustrating his aptitude at Atalanta. From there, he defied financial anarchy and the aftermath of Diego Maradona to deliver Napoli to the Uefa Cup before ending long droughts for both Juventus and the national team. The 1996 Champions League was the former’s first in 11 years, the 2006 World Cup Italy’s first in 24. Between 1994 and 2006, then, he was a manager who made up for lost time in every sense. But still hasn’t quite done enough to get into our top 10. A victory in one of those lost Champions League finals or a better showing in the 2010 World Cup might well have been enough. It’s difficult to deny. 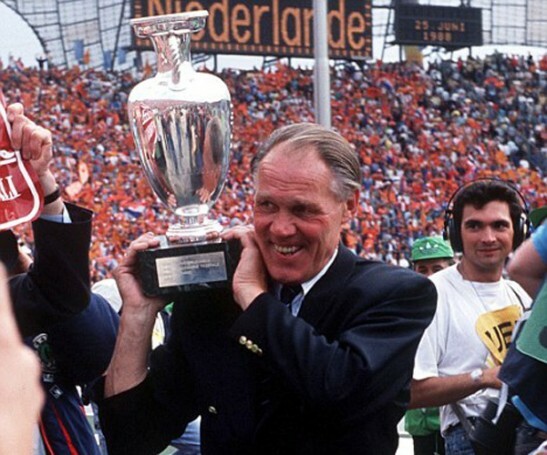 Aside from claiming eight domestic titles, Lattek is the only manager in history to have won the three continental club trophies with three different clubs. To a degree, though, there is an argument that “a winner” is actually all that Lattek was. He was certainly no team-builder. At Bayern, he essentially built a penthouse on the rock-solid foundations of Zlatko Cajkovski and Brank Zebec. After they had created the core of an all-conquering side, Lattek then lead them to the actual trophies: three Bundesligas and a European Cup. When they failed to reclaim the title in the same season they won the latter, however, Lattek went to president Wilhelm Neudecker saying “we need some changes”. “That’s right, you are sacked,” came the reply. Lattek promptly moved to arch-rivals Borussia Moenchengladbach and accelerated Weisweiler’s initial achievements there with another two titles, a Uefa Cup and a European Cup final appearance. But he was later blamed for not making the necessary changes to sustain the success. Other than another spell at Bayern with a similar nucleus of talented players – Lothar Matthaus, Klaus Augenthaler – he never repeated such relentless trophy-winning anywhere else. But, in saying that, few managers had such a capacity to make a promising group of players even better than they were. That was Lattek’s real strength. In that sense, contrary to what Beckenbauer said, there was no thinking about it. He was a proven winner. Ernst Happel was a grumbler. Worse, he was a mumbler. He often spoke to both players and journalists with a cigarette hanging from his mouth. Yet he also proved unmatched at getting his message across. In fact, his players hung on his every garbled word. A supreme strategist, Happel usually turned the biggest games of his career with tactical masterstrokes. Indeed, very little was lost in translation in general. Aside from improving the lot of almost every team he went to, Happel became the first coach to win the European Cup with two different clubs and won eight titles across four countries. In between the continental victories with Feyenoord and Hamburg, too, he also took his talents to the international stage by guiding Holland to the 1978 World Cup final. Probably the most influential coach of all time. Michel’s mark is stamped all over so many areas of the game, from Barcelona’s pressing game to Jose Mourinho’s systems. As Johan Cruyff said “both as a player and as a trainer there is nobody who taught me as much.” And, unlike so many pioneers such as Victor Maslov, Jimmy Hogan and Hugo Meisl, Michels actually saw his work bear real fruit. For a start, he echoed the likes of Busby and Shankly in building Ajax. Having saved them from relegation, he immediately won them the title. To finish, their European Cup win of 1971 as well as Holland’s Euro 88 victory both provided some of football’s most iconic images. In between, there were the touchstone moments of the 1974 World Cup and the exhilarating interlude at Barcelona. The only argument you could have against Michels is that he essentially missed the peak of so many projects. Ajax went on to even greater things after he left; Barca only blazed brightly in bleak decade, practically waiting for Cruyff to pick up the torch later on; the Dutch hit self-destruct against the Germans both in 1974 and 1990. In that sense, perhaps ironically, the father of Total Football never saw things through to completion. But the unfinished articles were still unbelievable. The original football patriarch. As well as the father of the modern Manchester United, Busby acted as a mentor to so many other players and managerial greats from Jock Stein to Alex Ferguson. In a situation unthinkable now, Bill Shankly would often drive to Old Trafford after training at Melwood just to bask in Busby’s knowledge. “What a man Matt Busby is,” Shankly would often exclaim as he left for Liverpool. Most famously, of course, Busby was a father figure to one of the most exhilarating young sides European football has ever seen. Given their age, ability and exceptional record between 1955 and 1957, there appears little doubt that the Busby Babes would have continued to compete at the top levels of English and continental football. Surely, it is undeniable that both Busby and the club’s trophy haul would have been much more impressive. And, since they ran a peak Real Madrid so close in the 1957 European Cup semi-finals, the debate remains as to what they might have done with a touch more experience. That, tragically, will remain forever open to question. What won’t is that, in the wake of Munich, Busby again illustrated the personal qualities that made him such a magnificent manager. He had already overseen Old Trafford’s transformation from a literal bomb site to the figurative ‘Theatre of Dreams’. But to describe the difficulties that he faced in the aftermath of the disaster as a ‘challenge’ would be to do both the victims and the man a massive disservice. Busby had to overcome so many obstacles, emotions, personal injuries and even his own guilt. Yet, remarkably, United lifted the European Cup a full decade after Munich with a team that evoked the spirit of the Babes. Despite the excitement of that period, though, it is probable that Busby had passed his peak as a manager by then. His somewhat laissez-faire approach to talent was becoming increasingly out of synch with the systemisation of football. In that sense, the individual brilliance of Denis Law and George Best probably overshadowed the fact that Busby’s style best suited the 50s. It is still testament to Busby that, across three decades, he built three great teams. And, in the process, a massive club.